The popularity rankings of development-technologies which developers want to use in the future. Masahiko Isshiki of Digital Advantage corp.
Our web media - Build Insider - did a questionnaire survey about web and developer technology trend in Japan. This article describes the results. This article contains two sections. Ranking 6 or later: "Mobile framework (such as jQuery Mobile)", "Web graphics (such as three.js)", "Template engine (such as Handlebars.js)". Sample responses of "Other": "Reactive View framework (Facebook's React / Om etc. )", "ClojureScript", "Web Components" etc. Sample responses of "Other": There were some answers. "Vue.js" was especially popular. Sample responses of "Other": "ClojureScript" was especially popular. *There was no same answer to "Other". The following are answers to the question: "If there is a technology that you are especially interested in as Web technologies, please specify that technology name". This list is ordered by popularity. First, let's check the popular technology area. In this survey, we divided technology into the following four main areas. Let's take a look deeply at some of these areas. Sample responses of "Other": "Titanium Mobile", "Cocos2d-x", "Haxe", "Qt" etc. Ranking 4 or later: "Leap Motion", "Arduino", "Android Wear", "Oculus Rift". Sample responses of "Other": "Windows Phone" was especially popular. Sample responses of "Other": "Heroku", "DigitalOcean" were especially popular. And "NIFTY Cloud", "SoftLayer" were popular. 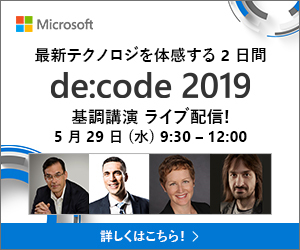 Ranking 7 or later: "Windows Azure SQL Database", "Oracle", "Elasticsearch", "DynamoDB", "Cassandra", "HBase", "Riak", "Microsoft Access", "RavenDB", "CouchDB", "DB2". Sample responses of "Other": "MariaDB" was especially popular. And "Datomic" was popular. The popularity of Visual Studio and IntelliJ IDEA seems high in particular. In addition, 60% of users of Visual Studio answered "I want to use ReSharper plug-ins in the future". Ranking 5 or later: "Xcode", "Xamarin Studio", "Eclipse", "PhpStorm", "Emacs". Sample responses of "Other": "Vim" was especially popular. And "Atom", "Light Table", "NetBeans", "RubyMine" etc. were popular.